Eduard Müller Castro is the Founder and President of the University for International Cooperation and Chair-holder for UNESCO. The University for International Cooperation is a global organization of educational innovation for an inclusive knowledge society, seeking a regenerative and evolutionary development to a complex, diverse and changing world. Eduard’s career spans over 35 years and he has published more than 50 papers and book chapters. One of his most notable works was a chapter titled “December 22nd,” in a book titled Global Chorus. 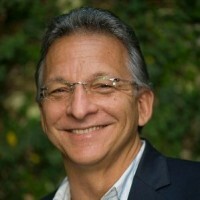 Eduard has spoken for numerous organizations including The Earth Charter, the World Meteorological Organization, and the Latin American Parliament. His greatest achievement thus far has been having over 5000 students from 58 different countries graduate from his University. Eduard attributes his success to his experience living in different countries. Eduard is also an accomplished photographer. He is fluent in German, Portuguese, Spanish, and English.